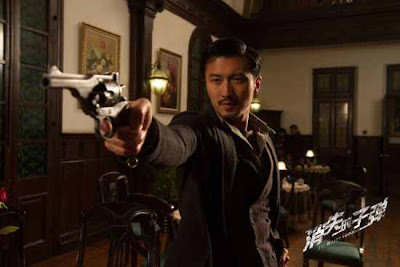 Less fantasy-oriented than Tsui Hark’s supernatural Detective Dee and more seriously minded than Guy Ritchie’s playful Sherlock Holmes movies, The Bullet Vanishes is a competently staged period whodunit which, judging from its handsome box office returns in mainland China and its makers’ visual flair and intellectual candour in handling the complicated material, has ample potential to develop into a prominent detective movie series for the Chinese-speaking market. Set in Tiancheng Province, China, this stylish 1920s-set movie opens to the suspicious death of a young female worker of an ammunition factory, who’s forced by the crooked owner (Liu Kai-chi) into what turns out to be a rigged game of Russian Roulette. The mystery only deepens as a murder subsequently takes place at the factory – with a bullet that seems to have spontaneously vanished from the scene – and rumours begin to circulate that the dead girl has put a curse on the factory, predicting further deaths by ‘phantom bullets’. A veteran of horror flicks and action thrillers (Double Tap, Inner Senses, Koma, Kidnap), director and co-scriptwriter Lo Chi-leung comes up with arguably his best film to date with this Hong Kong-China co-production, a sumptuously realised detective mystery that merges Holmesian deductions with shootouts, explosions and action sequences – some of which are shown with slow-motion bravado. Lo is handsomely assisted by his lead pairing, Lau Ching-wan and Nicholas Tse. 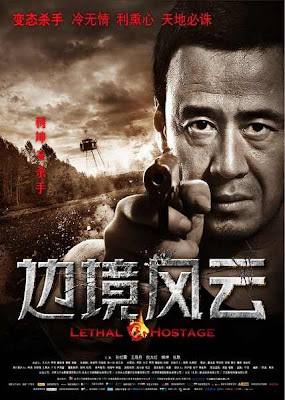 The former plays Song Donglu, an eccentric forensic expert whose unrelenting pursuit of justice has earned him a promotion as the new NPA officer at Tiancheng’s corrupt police headquarter, while the latter plays Guo Zhui, a righteous cop who arrives with a history as a contract killer and a cheesy reputation as the “fastest gun” in town. The Bullet Vanishes is, however, not a buddy movie in its core. Guo, despite his skills with firearms (he can hit his targets with bullets that bounce off walls, as if he’s playing pool), is less a right-hand man for Song than he’s a rival investigator of the cases. Judging by Hollywood standards, it could be said that the two leading men have been given relatively few occasions to banter and bond; their interactions are sometimes amusingly, if not quite intentionally, awkward. But that, together with a relative lack of humour, doesn’t diminish the entertainment quotient of the film, which maintains its sense of intrigue with an incessant stream of details and clues. Here is a detective mystery that trusts its audience to put the puzzles together, without succumbing to the tendency of mainstream blockbusters to explain everything away for their viewers’ easy, immediate consumption. The rapidly increasing number of henchmen and factory workers involved – or killed off – in the mysterious circumstances may be fairly overwhelming for the less attentive viewers. 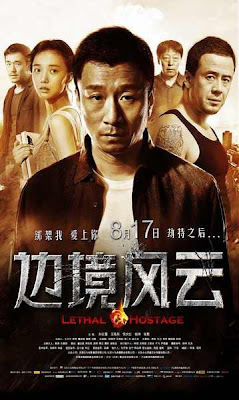 Amid the vanishing bullets and a case of locked-room murder, extraneous developments are few and far between in the movie; even Guo’s romantic interest, a tricky fortune-teller called Little Lark (Mimi Yang), would prove to be playing a vital yet barely discernible role in the chain of causation. The one major weakness of this otherwise very satisfying movie is its lack of a sense of humanity. Despite Lau’s charismatic presence, it’s hard for the audiences to identity emotionally with a protagonist they know nearly nothing about. The back story of Song is curiously kept private and, one would reasonably guess, for the next instalment of the would-be series. 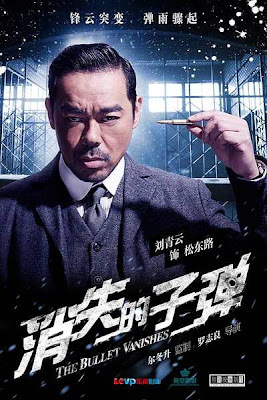 In all likelihood, the protagonist’s relationship with an incarcerated husband killer (Jiang Yiyan) – whose own intricate murder plot is briefly reconstructed for Song in The Bullet Vanishes (shot with an inventive dash of silent film aesthetics) but whose past history with the detective is left perplexingly unspoken – should return in a more expositional manner in the probable sequel. Main cast: Lau Ching-wan, Nicholas Tse, Mimi Yang, Boran Jing, Liu Kai-chi, Wu Gang, Yumiko Cheng, Jiang Yiyan. A China Lion Film Distribution (in U.S.)/Le Vision Pictures Co., Emperor Motion Pictures Distribution (Beijing) (in China) release of a Emperor Film Prod. Co., Le Vision Pictures Co. presentation of a Film Unlimited Prod. production. (International sales: Emperor Motion Pictures, Hong Kong.) Produced by Albert Lee, Zhang Zhao, Derek Yee, Mandy Law. Executive producers, Albert Yeung, Jia Yueting. Co-producers, Catherine Hun, Shan Dongbing. Directed by Lo Chi-leung. Screenplay, Leung, Yeung Sin-ling, based on a story by Yeung. Taking a page from the careful plotting of Nipponese detective stories, then transplanting the template to a Chinese period setting rife with social resonance, “The Bullet Vanishes” boasts a level of narrative control and artistic finesse rare among such endeavors. Unraveling paranormal murders in a bullet factory, Hong Kong helmer Lo Chi-leung sheds the shock tactics of his best-known horror-thrillers, “Inner Senses” and “Koma,” to pursue an expositional approach, and pulls it off by casting quietly engrossing leads Sean Lau and Nicholas Tse. Robust opening in China followed by a U.S. bow proves demand for cerebral Asian genre fare exists. 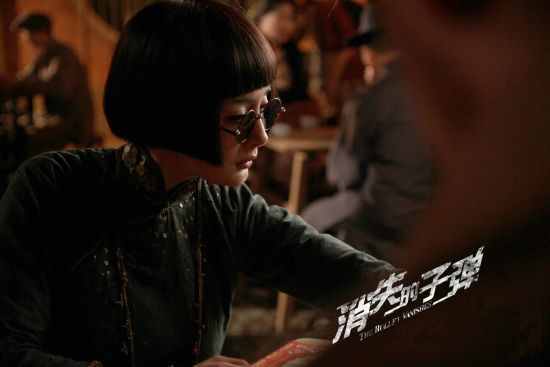 Rumors spread about the vengeful ghost of factory girl Yan (Xuxu), who was accused of stealing and coerced into a game of Russian roulette with the boss, Ding (Liu Kai-chi). As predicted, more deaths by gunshot occur, but the bullets are always strangely missing. In a case-within-a-case, Song entertains a discourse on “the perfect crime” with Fu Yuan (Jiang Yiyan, icily captivating) an inmate convicted of murdering her husband (Chin Ka-lok). Craftily weaving clues into this subplot (with flashbacks shot in stylized black-and-white, like a silent film), Lo makes Fu’s clinical premeditation reinforce the moral ambiguity running through the film. Transcribing such classic concepts as the locked-room murder, as well as the deductive processes and speculative re-enactments favored by Japanese mysteries, Lo and Yeung Sin-ling’s screenplay will have no problem holding attention. However, except for a bold stunt utilizing ropes and a pulse-quickening gunfight in the last 15 minutes or so, the pacing is too even-keeled to deliver any edge-of-your-seat tension. This may be why both the final unlocking of mysteries and even the twist ending feel underwhelming despite their cleverness. The blueprints for the doggedly persistent Song could be famous fictional detectives like Keigo Higashino’s Galileo or Seishi Yokomizo’s Kousuke Kindaichi, while there’s a Holmes-Watson dynamic to his partnership with Guo. The strength of Lau’s and Tse’s perfs lies in their conscious effort to underplay the eccentricity of their roles, instead conveying their flawed humanity. The distractingly voluptuous Yang gives maximum oomph to a token femme role, making her fling with Guo a steamy diversion from the drier investigation scenes. 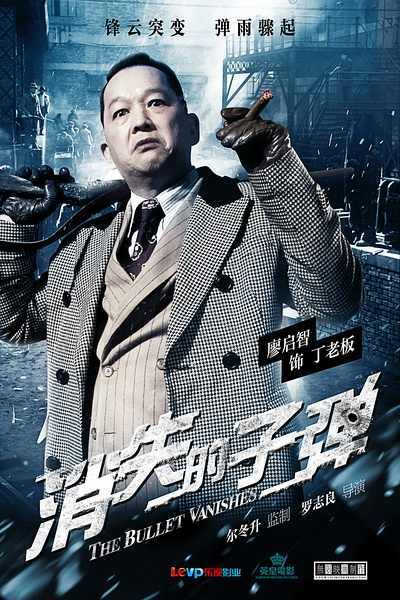 Similarly, the delightful flirtation between forensic doctor Li Jia (Yumiko Cheng, svelte) and detective Xiaowu (Boran Jing, likable) could have taken on more dramatic weight. Tech package is a treat. The lighting creates an ambience that’s almost Victorian in its haunting play of shadows, and Chan Chi-ying’s lensing takes full command of widescreen and elegant tracking shots to underscore the oppressive atmosphere of prisons, factories and police stations. This is reinforced by somber color tones, accentuating the bleak textures of rust, brick and faded wall paint. Camera (color/B&W, widescreen), Chan Chi-ying; editors, Kong Chi-leung, Ron Chan; music, Teddy Robin, Tomy Wai; production designer, Silver Cheung; art director, Lee Kin-wai; set decorator, Wong Wai-ming; costume designer, Stanley Cheung; sound (Dolby Digital), Phyllis Cheng; re-recording mixers, Cheng, Lam Siu-yu; visual effects supervisors, Enoch Chan, Tse King-ho; visual effects, Herb Garden; action choreographer, Li Chung-chi; line producers, Man Cheuk Kau, Zhong Wei; assistant director, Dickson Leung. Reviewed at Emperor Motion Pictures screening room, Hong Kong, July 12, 2012. Running time: 103 MIN. 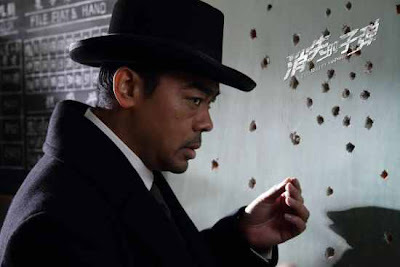 A stylish period thriller set in 1930’s Shanghai, The Bullet Vanishes is one of the more striking Chinese imports from the fledgling distribution company China Lion. This detective story about a series of murders in which the bullets seem to disappear after being used bears no small debt to Guy Ritchie’s Sherlock Holmes flicks. But its clever plotting and beautifully designed production more than merit its trip to the West. Said murders are being committed in, where else, a bullet factory, led by a venal boss and his vicious henchman who once forced a female worker suspected of stealing to play Russian roulette, with tragic results. 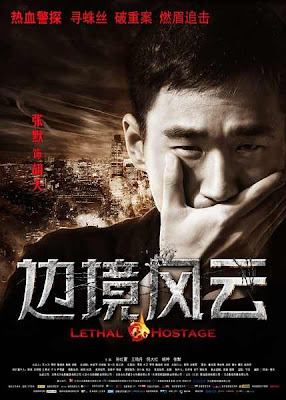 Now her ghost may be exacting revenge, although cerebral-minded detective Song (Lau Ching-wan) and his partner Guo (Nicholas Tse) look for a less supernatural explanation in an investigation that includes such fascinating scientific experiments as the testing of ice bullets that melt after impact. Viewers may ultimately become lost in the overly complicated labyrinth of a narrative, not to mention dialogue so fast and furious that one needs to be a speed reader merely to keep up with the subtitles. 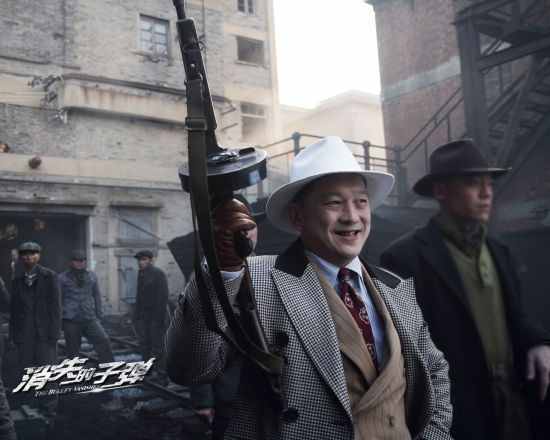 But director Lo Chi-leung also includes enough impeccably staged action set pieces and elaborate shootouts to entertain viewers who may have given up trying to follow everything that’s going on. 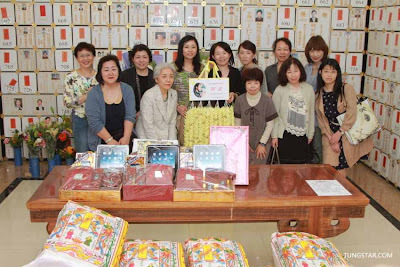 Providing some emotional heft to the proceedings is a social consciousness that is particularly evident in the character of Guo, who freely expresses his views about society’s poor treatment of the lower class. The film’s visuals, from the gorgeous period costumes to the elaborate recreation of the city’s gritty environs, are consistently striking. And as the two detectives, Ching-wan and Tse, deliver the sort of slyly entertaining performances that make their characters memorable enough to warrant a sequel. A large number of fans from across the world come to offer flowers at the Hong Kong Mandarin Hotel; the location where Leslie Cheung, the famous Hong Kong film actor and musician, committed suicide 9 years ago on April 1. 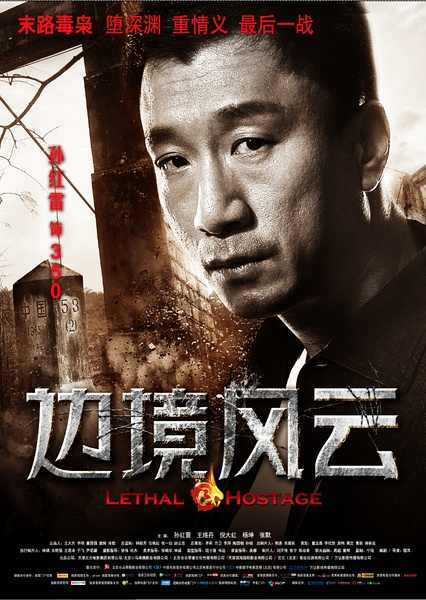 Routine crime drama squanders good leads on a poor script with only average direction. Engaging fable on greed and loss of values in HK society is good but not great. 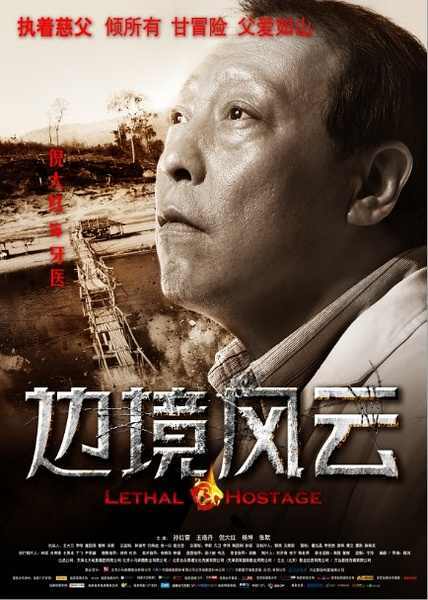 Based on the novel of the same name, the movie tells the story of a group of villagers who try to design the death of a well-known local hooligan. The film tells the story of a Chinese superstar, portrayed by Chung, who abandons her career in China and marries a Japanese man. One of her loyal fans, played by Miao, follows her to Japan where he accidentally becomes involved in a spate of serial murders in a family-owned hotel where the owners are killed one by one. Based on the life story of entrepreneur and motivational speaker Rocky Liang, the film recreates how Liang became successful. Read the tale and circumstances behind how fellow blogger and ex-pat Glenn got these picture of Cherie Chung, Vivian Chow and Annie Liu, and some swag too, link below. He has now set his sights on Edmonton, where his sister has migrated to. Lau is also believed to own properties there. 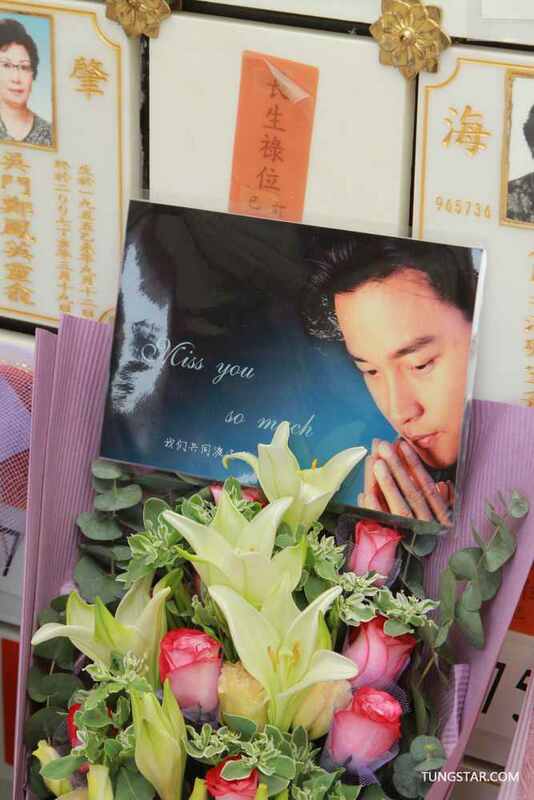 MSN: Was Joey Yung showbiz boss Albert Yeung’s mistress? The video clip that documented Jay’s actions had shown him instructing his friends to form a human barricade to block the three reporters present. Jay had whipped out his mobile phone and filmed the reporters. He referred to them as “Number One, ninja dog”, “Number Two, horse face” and “Number three, monkey with glasses”. CNA: Can Edison Chen pull off these roles? Several days after Timmy’s marriage to Janet Chow in Hong Kong, he lashed out at Chester for spilling drinks on the bride’s wedding dress and also used his wedding as means to meet new girls.